In this guide I’m going to show you the quickest and easiest way to watch BBC iPlayer on an Amazon Fire TV Stick abroad. So if you’re outside the UK and you’re itching for the BBC, this guide is for you. BBC iPlayer is one of the best online streaming services available with everything from Question Time to Eastenders, there’s something for everyone. 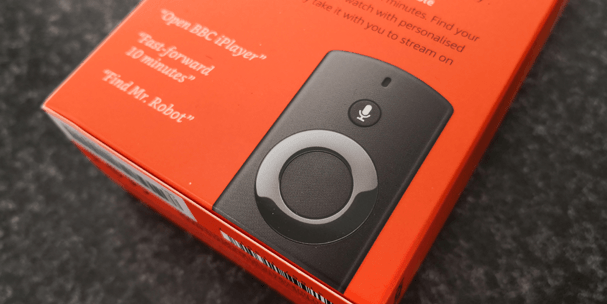 Link this up with an Amazon Fire TV or Fire Stick and it means you can just plug it into a TV and watch your favourite BBC shows either live or on catch-up. Unfortunately though if you find yourself abroad outside the UK then it’s a completely different story, you’re blocked. Below I’ll show you how to unblock the BBC iPlayer and watch from anywhere in the world. Why is BBC iPlayer blocked abroad? If you’re outside the UK and you’ve tried to use BBC iPlayer on your Fire TV or Fire Stick then you’ll already know that you’re blocked from watching. It doesn’t matter where you are, from the EU to America or even Australia. Even with new EU portability rules that let you watch services like ITV, you still can’t watch the BBC. The reason for this is your internet connection gives away your location and so it’s simple for the BBC iPlayer service to block you. How can I unblock BBC iPlayer abroad? To unblock BBC iPlayer abroad on your Fire TV or Fire TV Stick you’ll need to use an extra app called a VPN. In recent years VPN apps have become available for both the Amazon Fire TV and Fire TV Stick which means it’s now really simple to unblock BBC iPlayer. It can be done in just one or two clicks. VPN services are offered by hundreds of different companies across the world but it’s important to note that not all work with BBC iPlayer, some are blocked. Most also don’t work with the Amazon Fire TV or Fire Stick because they don’t have dedicated apps. Through extensive testing I’ve found ExpressVPN to be the best for watching BBC iPlayer abroad on your Fire TV or Fire TV Stick. They have a dedicated Amazon app and work well with BBC iPlayer. To watch BBC iPlayer on your Amazon Fire TV or Fire Stick abroad you should follow these steps below. Visit the ExpressVPN website and sign-up for their service. You can get 3-months free using this link. Once you’ve completed sign-up go to your Fire TV or Fire Stick and use the Search option to search for ‘ExpressVPN’. Press on the word ExpressVPN and then on the ExpressVPN app press ‘Get’, ‘Download’ or ‘Install’. Once the app has installed open it from your main Amazon Fire TV or Fire Stick screen. It will take around 15 seconds for the ExpressVPN to connect. Once it’s connected you should press the Home button on your Amazon Fire TV or Fire Stick remote. The BBC iPlayer app doesn’t work directly on the Fire TV Stick so you’ll need to download the ‘Firefox‘ web-browser app. Once downloaded and installed, open it. On Firefox you should now type in the website for BBC iPlayer : https://www.bbc.co.uk/iplayer. You can now watch BBC iPlayer abroad on your Fire TV or Fire Stick. When you’ve finished watching BBC iPlayer press the Home button and then open the ExpressVPN app again. You can then disconnect and everything returns to normal. You can use the same service to access ITV, TVPlayer, Channel 4 and any other apps from the UK. A VPN is extremely easy to understand and below I’ll explain. When you connect to the internet outside the UK your internet connection is tagged with your location. This is how BBC iPlayer knows where you are and blocks you. 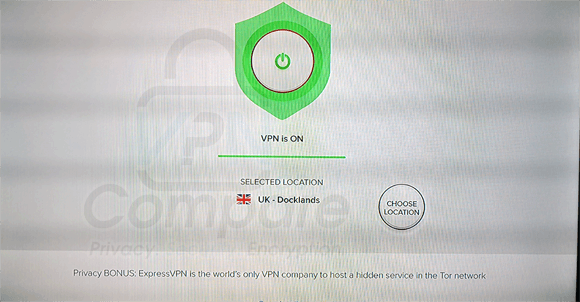 A VPN first passes your data through another location, in this case, one in the UK. It then passes your request onto the BBC iPlayer service. BBC iPlayer only ever sees the data coming from a location in the UK and so pass back the video or TV you want to watch. The VPN service then passes this back to you wherever you are in the world. It sounds complicated but the Amazon VPN app from ExpressVPN takes care of all the hard work so you won’t even notice this happening. To watch BBC iPlayer on your Amazon Fire TV or Fire Stick abroad is a lot easier than you would imagine. All you’ll need to do this is to get a VPN service. I recommend ExpressVPN because they’re one of few that work with BBC iPlayer but also allow you to use it easily on a Fire TV or Fire Stick. You can get ExpressVPN by clicking the button below. Once you’ve signed up install their dedicated Amazon app on your Fire TV or Fire Stick and then connect to the United Kingdom. You’ll now be able to watch BBC iPlayer via the Firefox app on your Fire TV or Fire Stick from anywhere in the world.